The importance of getting enough quality sleep each night can’t be overstated. Good sleep is essential for mental and physical health, personal safety, and well-being. If your sleeping habits could use improvement, try adopting the following four simple strategies. Heavy evening meals can play havoc with your sleep schedule, especially when you eat them late. Leave the pizzas, pastas, and other meals that could trigger heartburn and indigestion for lunch and opt for lighter fare such as seafood, chicken, and salads at night. Finish your meal several hours before your bedtime. If you’re peckish, get a light snack rather than serving up seconds. Make sure you don’t snack too close to bedtime to avoid a disturbed sleep. Humans are creatures of habit who thrive on routine. Create one around bedtime and you’ll find this routine can help you drift off to sleep. The best bedtime routine for you is a matter of personal preference; however, some activities work better than others. Reading a book is good, while reading material on an e-reader could keep you awake due to its backlight. Drinking chamomile tea is great for relaxing, while regular tea is a stimulant that may impair your sleep. Taking a bath, meditating, and practicing yoga are also good ways to wind down before bed. Perform your bedtime routine at the same time each night. Your body will get to associate the time and activities with sleep so that you fall into slumber quickly when your head hits the pillow. You may think you love sleeping in a cozy, warm environment, but your body disagrees. 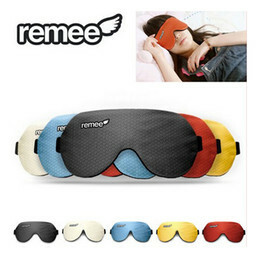 Sleep experts say that a temperature of between 60 and 75 degrees is optimal for quality sleep. Turning your thermostat down at night is a better way to cool your room instead of closing your room vents. A well-ventilated room can provide you with a comfortable sleeping environment. Additionally, closing vents will strain your home HVAC system and shorten its lifespan. If you’re experiencing poor quality sleep, your mattress and pillows could be to blame. Mattresses should be soft enough to be comfortable yet supportive of your body. Most good quality mattresses have life expectancies of only 9 or 10 years, according to the National Sleep Foundation. If your mattress is older, it probably needs replacing. Pillows have even shorter lifespans. A good quality feather or down pillow can last up to seven years, but you should replace a synthetic pillow after only two or three years. Old pillows can’t support your head as they once did. Experts suggest more than half of their weight may be made up of common allergens such as mold, mildew, dead skin cells, fungus, and dust mites and their feces. Placing all those allergens so close to your nose can trigger allergies that can keep you up all night. Don’t struggle through another restless night. With the above simple strategies, a night of superior slumber could be closer than you think.